The European Commission has announced its proposal for a reform to change the way social media, online content providers and other Internet-related companies are taxed. The proposal, which had been rumored previously, would require companies to pay taxes throughout the EU, rather than directly from where they place their European headquarters. The proposal includes two major policy prescriptions: "Reform corporate tax rules so that profits are registered and taxed where businesses have significant interaction with users through digital channels," and the levying of "an interim tax which covers the main digital activities that currently escape tax altogether in the EU." It is meant to establish "a real link between where digital profits are made and where they are taxed." The EC proposal does not mention any specific companies, but states that the common reform will apply to companies with "7 million euros [$8.6 million] in annual revenues in a Member State" and "more than 100,000 users in a Member State in a taxable year," as well as "over 3000 business contracts for digital services are created between the company and business users in a taxable year." These criteria would seem to apply to Apple in most, if not all, EU member states. The interim tax would apply to companies with "total annual worldwide revenues of 750 million euros ($922 million) and EU revenues of 50 million euros ($61.5 million.)" Apple, is well over both of those numbers. The proposal still must be submitted to the European Parliament for ratification. 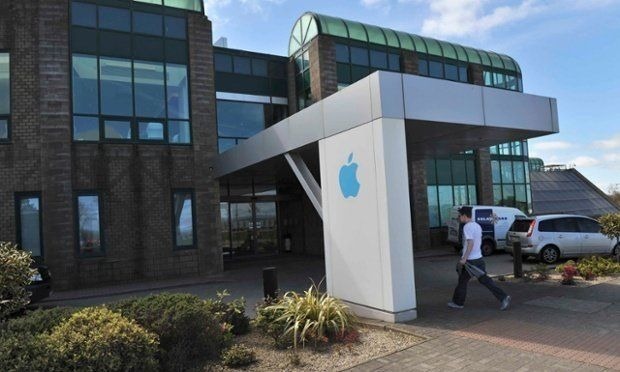 Apple has long located its European headquarters in Ireland and used that country to minimize the tax it pays across the EU. the legal maneuver led to a dispute over taxation and collections with the European Commission that has been ongoing since 2016.